This stylish gown has a "V" shaped front and back neckline. 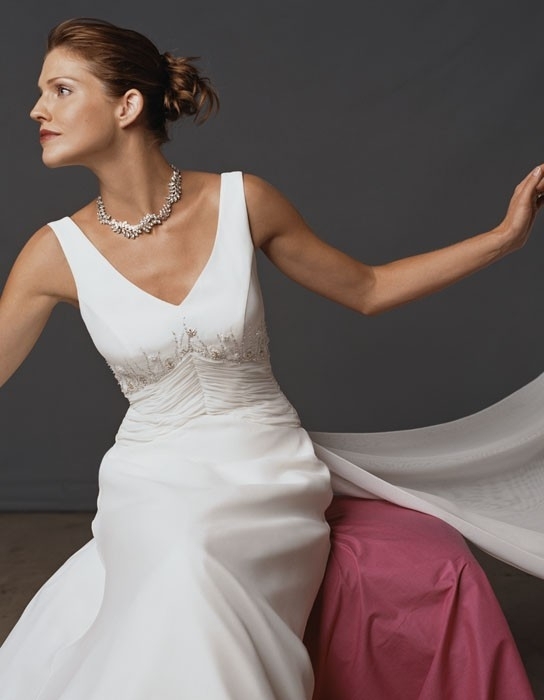 The shape of the neckline is repeated in the inverted "V" waistline, which is achieved by pleating the chiffon fabric, which accentuates the beadwork on the bodice. Beaded swirls decorate the hem all the way around and are again repeated on the detachable chapel train of this glamorous creation.